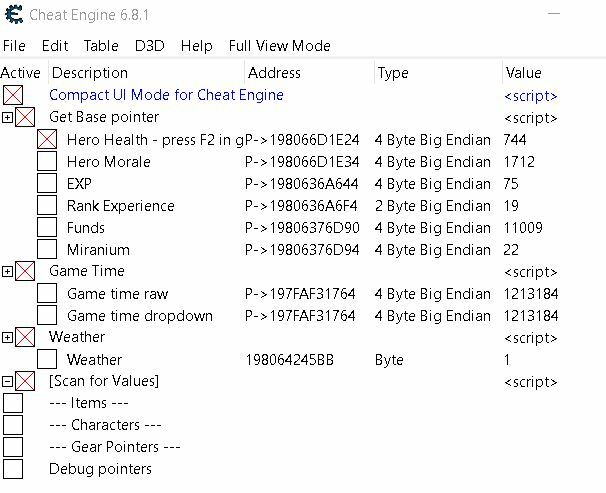 Most recent cheat table updated by koderkrazy, working for Cemu 1.11.3 and accompanying cemuhook, but not above. Other Info: WiiU Game released in 2015, CEMU Emulator and Cemuhook needed to play on PC. Graphic Packs optional but highly recommended. CEMU needs a bit setup (Controller etc.) but nothing special. Default configuration works fine. Reddit-User u/MassTour uploaded a table at r/cemu. This table has a "Scan Values Script" which is needed to enable all other options. It works by finding a specific address which is used to pinpoint the other values. It worked until CEMU version 1.11.3, but from 1.11.4 and above, the "Scan Values Script" doesn't work anymore and all other addresses are not populated. I tried contacting the Reddit-Users, but they don't seem to be active anymore. 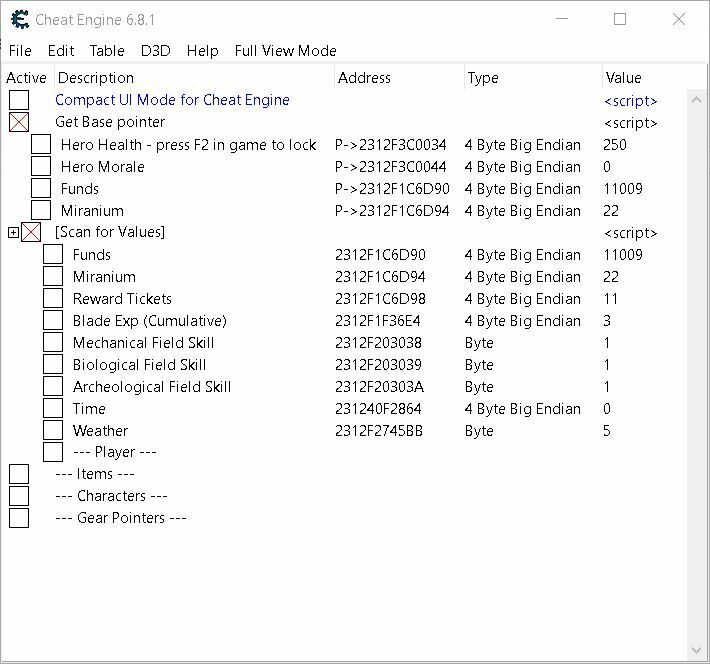 You need to add 2-Byte Endian, 4-Byte Endian and Float Big Endian to CheatEngine to find the addresses. Support for the upcoming CEMU version 1.14 is also requested, since it is planned to have substantial improvements for this game. For updating the table to Cemu 1.14 and Cemuhook 0.5.7.0, I'm willing to pay 10€. If new options added, for example Health, I would pay 15€. If CEMU gets a new Version and table needs to be updated it's 5€ each time. Last edited by Caedes91 on Sun Nov 18, 2018 12:30 pm, edited 7 times in total. I've managed to fix the AOBs. Also added Health and Morale pointers. Try the attached XCXv1.0.1E_tableV2.ct and let me know. 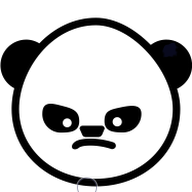 Morale can be edited in CE and it reflects in game immediately. Also, is CEMU 1.12.d patreon only version? Note: DON'T run game using following command. It hangs in my setup on running AOB scripts..
Last edited by koderkrazy on Sat Aug 04, 2018 6:44 pm, edited 3 times in total. wow that was great you add health thank you. i see some complete save floating around on g*at*mp. btw did you found out fuel too for skell? can't find the exact pointer since years ago on float type but it always changing if i still remember it correctly. Last edited by reinzhart on Sat Aug 04, 2018 7:46 pm, edited 2 times in total. Will test it out. I also haven't unlocked all characters, but there is a postgame save from g*at'emp. As for your question: sorry that was a typo, I meant the current official version 1.12.2d downloadable from Cemu homepage. The version 1.14 is still in development and will only be available to patreon users at first. The official release always comes a bit later. I was waiting for that version, because according to previewers, the purple texture bug seems to have mostly been fixed. Edit: I'm getting regular freezes on CEMU 1.12.2d, has anyone a solution for that? Last edited by Caedes91 on Sat Aug 04, 2018 10:05 pm, edited 3 times in total. Also I've created separate script for Weather, so that it won't affect the 'Scan for values' cheat. These things are populating, but I haven't tried yet. Will try them tomorrow. reinzhart, post: 54047, member: 1207 wrote: btw did you found out fuel too for skell? I'll try this tomorrow. Most of the time went in doing time cheat. For every hero stats or other stats I find at least 5 pointers holding same value which get read and written non stop. Caedes91, post: 54048, member: 13875 wrote: Edit: I'm getting regular freezes on CEMU 1.12.2d, has anyone a solution for that? I tried one youtube video about tuning CEMU and doing NVDIA app specific settings. Then the game won't even start. Had to delete and re-setup CEMU to get it working again. On default settings and using Single-core recompiler and got till NLA without a single crash. But the game crashes whenever I open Manual, CEMU throws 0xc0000005(access violation) error. Adding exception in antivirus doesn't solve it. V2.1: added Game time cheat. restructuring. As for random freezes with Cemu 1.12.2d in general: This seems to be an issue with the emulator itself, hope the newly released 1.13.0d fixes that. Last edited by Caedes91 on Sun Aug 05, 2018 11:02 pm, edited 1 time in total. i never get freezes when i got play like crazy on Cemu 1.0, it might be the newer version had bug. 1207 I've added script for fuel . 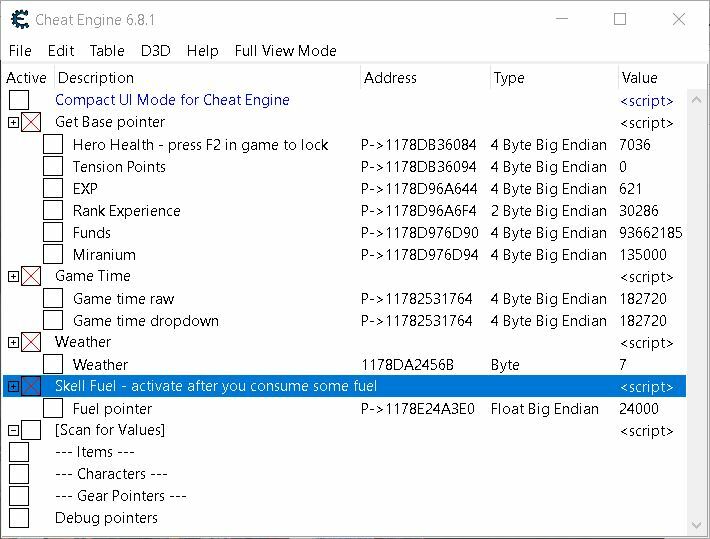 Activate cheat only after you've spent some fuel. 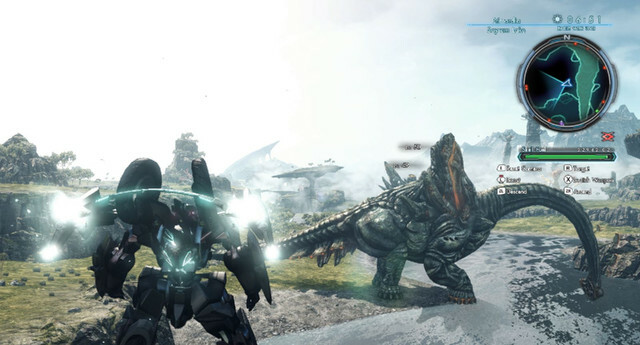 After starting game get in Skell and fly just for a while, then activate the cheat. For those who don't know: I used this video to configure keyboard and mouse . It is easier. still had 2 days till i can get back home lol. that really nice of you thank you so much for the fuel, i just really want to fly around role-playing. definitely will test it out when i'm back. i can't see any edit post button on my post so sorry i had post again. so on 1.10.0d skell garage crash was gone. so i guess the best version for now for is XCX is 1.10.0d. Last edited by reinzhart on Thu Jan 01, 1970 12:00 am, edited 2 times in total. I'll update the table for this version. 1207 , CEMU 1.10.0d is indeed a stable version for XCX! LoL I flew around NLA without even single lag. Just extract the archive -> run cemu -> load game -> run mouse2joystick_Custom_CEMU.exe (press f1) -> play the game. Thank you for having a time for creating the table. I tested Xenoblade Chronicles X on different Cemu versions and referred to the [URL='http://compat.cemu.info/wiki/Xenoblade_Chronicles_X']compatibility page[/URL] of CEMU. yup 1.10.0d stable meanwhile 1.10.0f broke again as someone said on reddit. and i see some post about 1.11.x still had purple/blue texture bug and crash but i cannot found the trigger of the crash on 1.11.x so i'm not sure 100% it's true or not but the loading time between going inside and outside building was faster on 1.11.x.